The 2017 NAOJ Director General’s awards were given to the following two groups at the NAOJ Chile Observatory for their remarkable achievements at NAOJ. The award in the Research and Education Category was given to the group for the achievement in the ALMA polarization observation. Polarized waves, which are generated under special conditions, provide us with important information that cannot be obtained by ordinary radio observations such as magnetic force (magnetic fields) existing in space. 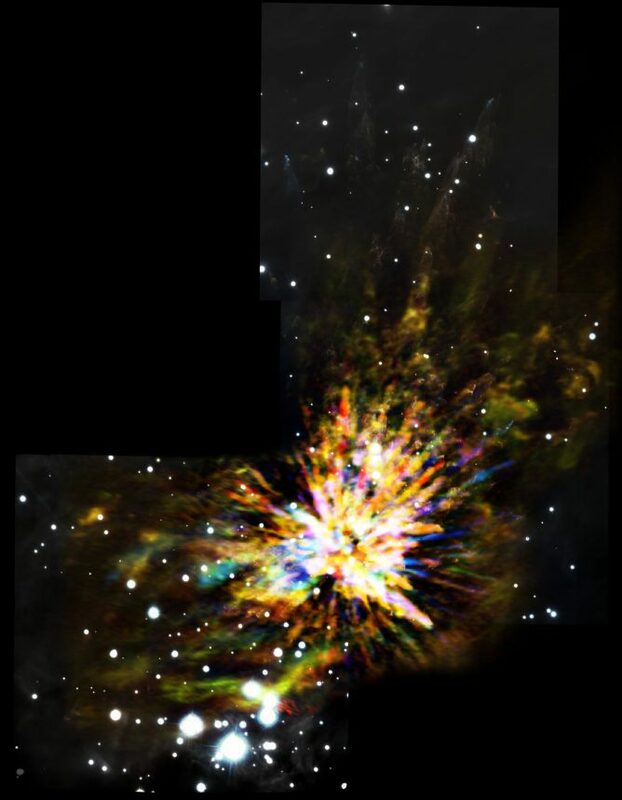 It is thought that there are magnetic fields all across the universe and they have significant impact on various cosmic phenomena including plasma jets emanating from the vicinity of supermassive black holes and evolution of baby stars. In spite of its importance, observing very weak polarized waves emitted from astronomical objects was quite challenging. ALMA has achieved unprecedented polarimetric sensitivity and accuracy, and demonstrates the capability in detecting very faint polarized waves. The four award winners were highly regarded for their great contribution to the realization of polarization observation with ALMA through commissioning and establishment of data calibration methods and for their contributions to the research promotion through actual polarization observations of various astronomical objects. Group photo at the awarding ceremony of the 2017 NAOJ Director General Award. 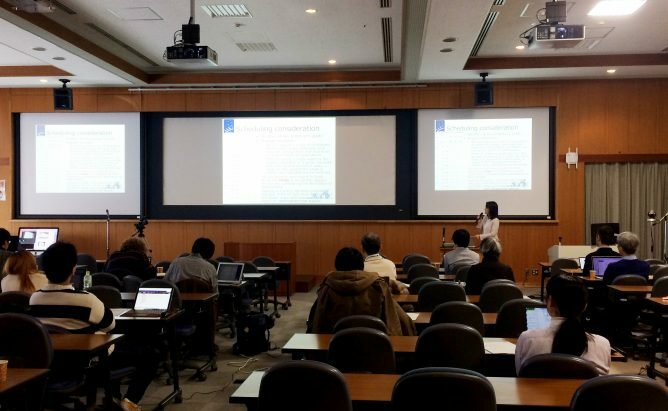 From right: Masahiko Hayashi (NAOJ Director General); George Kosugi (Associate Professor at the NAOJ Chile Observatory); Hiroshi Nagai (Specially Appointed Associate Professor at the NAOJ Chile Observatory); Koichiro Nakanishi (Specially Appointed Associate Professor at the NAOJ Chile Observatory); and in the upper left of the screen in the background, Charles L. H. Hull (Assistant Professor) who participated in the ceremony from Chile via teleconference system. The award in the Technology and Development Category was given to the group for the development of software (pipeline) to process ALMA data automatically. In ALMA observations, observers do not have to go to the site and operate the system for themselves because operations are carried out by specialized operators and the obtained data are processed by another expert team. To increase the efficiency of this data processing, the ALMA project developed pipeline software to perform automatic data processing, which is already in actual operation. 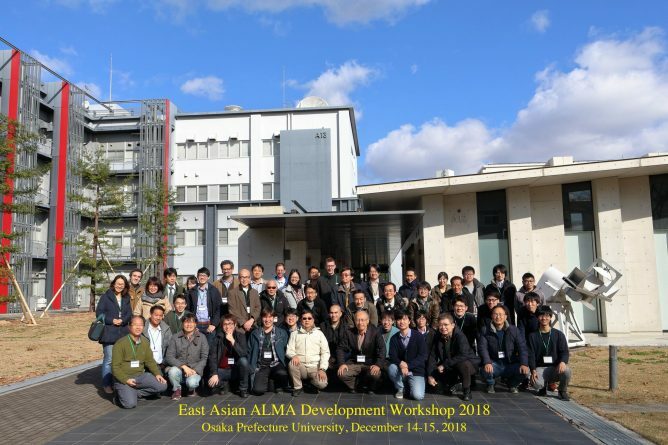 The development of the pipeline software has been jointly conducted in cooperation of three regional teams of East Asia, North America and Europe, but Japan led the development for the part of processing of output data from the 12-m antennas of the Atacama Compact Array (ACA) that is also known as Morita Array. 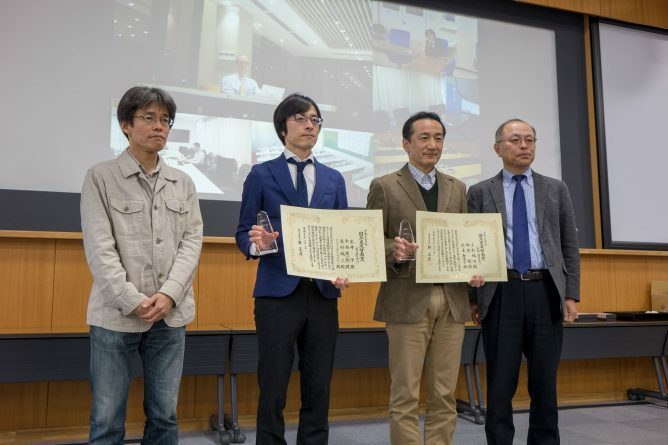 The three award winners were highly regarded for leading the software development and contributing strongly to the production of scientific results with ALMA. 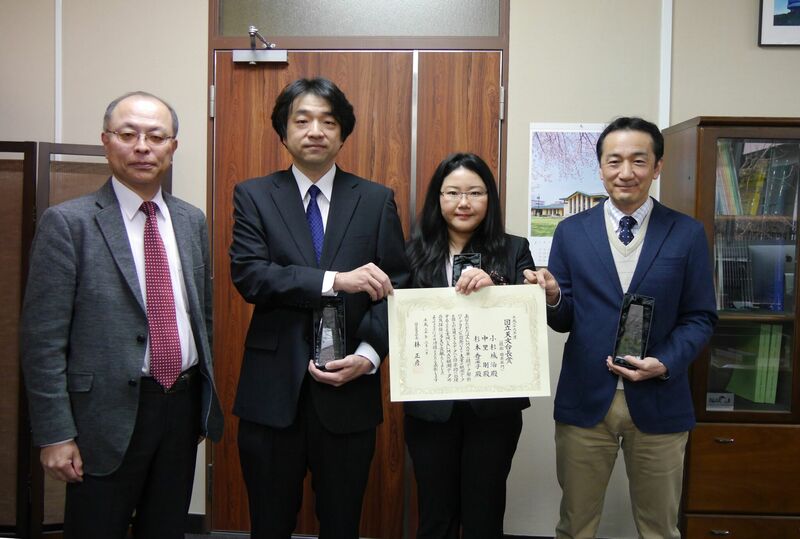 Pipeline Software Development Team [From Right: George Kosugi (Associate Professor); Kanako Sugimoto (Specially Appointed Senior Specialist); and Takeshi Nakazato (Research Engineer)]; and Masahiko Hayashi (NAOJ Director General) at the far left.